Last June, we traveled to the little town of Point Roberts for a relaxing weekend away before we moved. Point Roberts is an interesting spot, because it is considered US soil, but you can only access it through Canada, as it is attached to the Tsawassen area as it's own little peninsula. This small town has it's own small border crossing and is the perfect quiet, scenic getaway that we needed. We found the most incredible Yurt on Airbnb (sadly, it is no longer available and is a private residence now). It was nestled in a private forest and full of singing birds and soft wind. We spend most of the weekend lying in hammocks outside of the yurt or around a campfire. 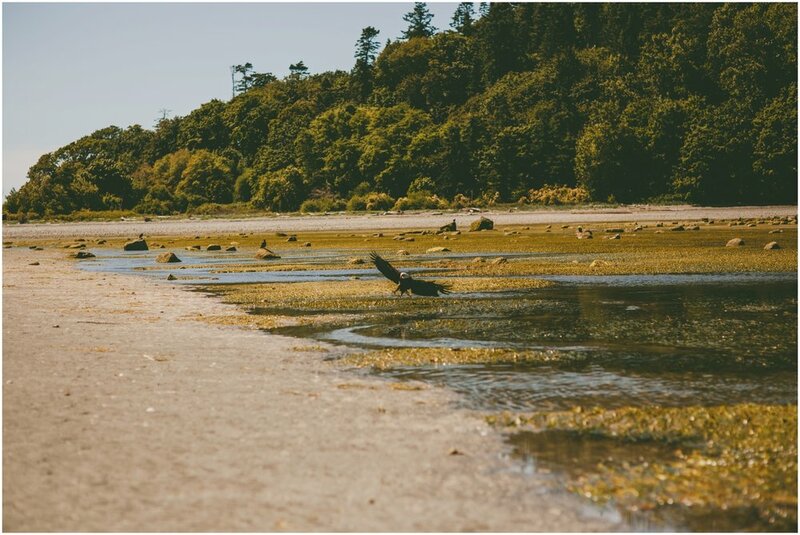 We took time to explore the many beaches, where eagles and crabs came out to play at low tide. It was one of the most relaxing weekends that I can ever remember!